We spent the day at Gettysburg. It was our first time and we enjoyed a day-long guided tour. After dinner, the lure of sunset was too hard to resist. 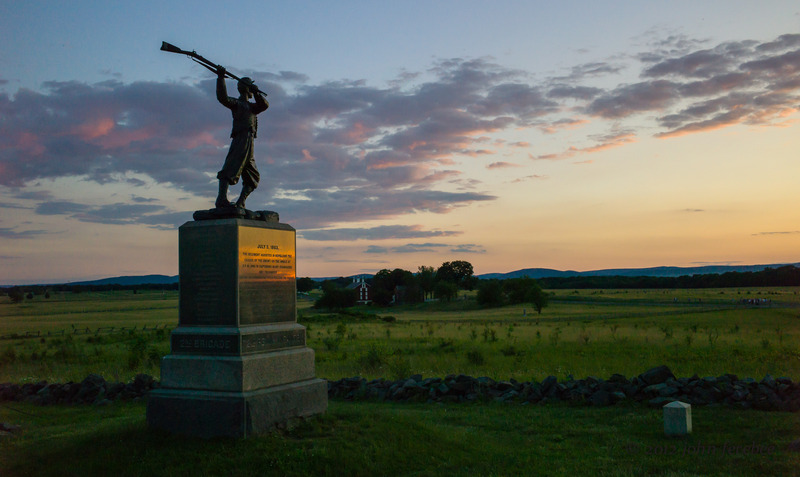 This monument, overlooking the valley of Pickett’s charge, represents Union soldiers using their rifles as clubs after running out of bullets. Gettysburg is an awesome place and so glad we came. I’m glad you liked the photo. Gettysburg is an amazing place. Living in CA makes it difficult to visit but I’m looking forward to seeing it again. I like you blog there is a lot of information there.